SEATTLE, Dec. 20, 2013 /PRNewswire/ — Looking for an easy green gift idea? Give a tree. Right now, you can help restore an endangered rainforest while getting great perks for your contributions. The iGiveTrees crowd funding campaign on Indiegogo runs through December 30, and has already exceeded its initial $10,000 funding goal. Now the intention is to see how much more positive impact it can create before the end of the year. 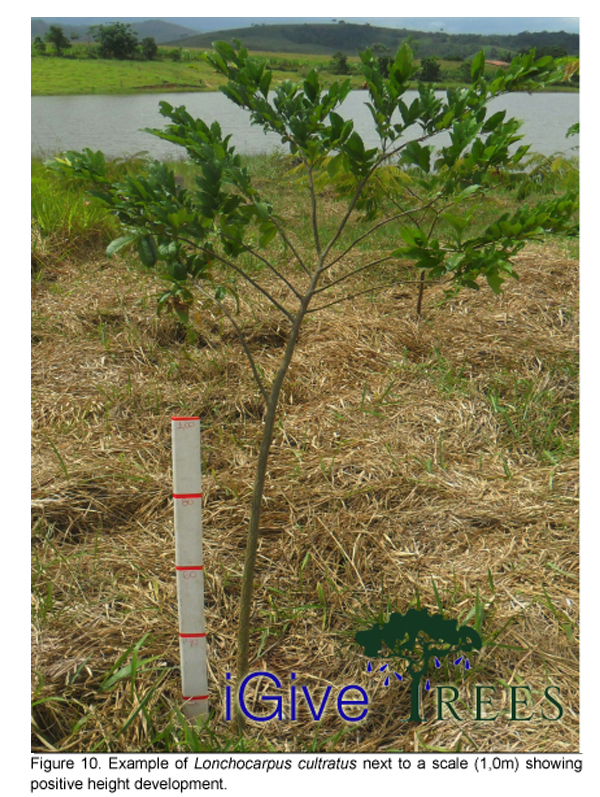 $5 plants an organically grown native tree in Brazil’s endangered Atlantic Forest. $10 insures it’s maintained in the field without toxic chemicals, for two years. Started by a Brazilian-American artist and writer, Alana Lea, iGiveTrees has grown into a worldwide statement of hope for the future. She has been dubbed the “Real Life Lorax” by many, and now encourages others to share the title with her. Five years into this grassroots, organic reforestation project, a global community has formed to support native tree growers, small local NGOs and subsistence farm families to restore this most bio-diverse rainforest. It’s already 93% gone. Support has come from every corner of the earth because people realize this is an opportunity to literally transplant the damaged lungs of the planet. And that’s a gift to us all. ArborGen has executed an agreement with International Paper do Brazil that grants ArborGen the exclusive right to produce and sell superior Eucalyptus Varietals in Brazil. ArborGen is producing the Varietals at a nursery at Luis Antonio, Sao Paulo state and has already begun production and sales of these seedlings, as the company said in the press release received by Lesprom Network. The Brazilian forestry industry is one of the largest, fastest growing in the world; Brazil is the world’s largest producer and exporter of hardwood pulp. The Eucalyptus market consumes approximately one billion seedlings per year. Private landowners have relied on older, publicly available varieties which do not offer the benefits that come from using advanced genetics. Results from extensive research trials and full scale production suggest that the new Varietals ArborGen is offering will be superior to those currently in use by private landowners. ArborGen established ArborGen do Brazil in 2004 as a product and business development center. The company has been working with several large integrated Eucalyptus pulp and paper companies for several years to develop genetically modified Eucalyptus products, and has conducted extensive field trials with these potential products. International Paper is a global leader in packaging and paper with manufacturing operations in North America, Europe, Latin America, Russia, Asia and North Africa. Its businesses include industrial and consumer packaging and uncoated papers, complemented by xpedx, the company’s North American distribution company. I recently dove into the world of coffee to see what’s going on in the supply chain, since our rainforest was originally cut down for coffee plantations. This was some of the response I received. It looks like it matters. Let the pictures tell the story… Click on the pictures to download the source documents if you think I’m making this up. As governments and citizens face up to the reality of climate change and the urgent need for action to reduce heat-trapping Carbon Dioxide in the atmosphere, one of the more controversial solutions presented has been that of “Carbon Sinks”. Plantation forests are being presented as a means for growing trees to absorb more carbon dioxide from the air and help to reduce global temperatures. African countries such as Uganda are a focus for their location. But activists who have looked more closely at the practice and reality of these industrial tree plantations note that they are often very damaging to local communities and the surrounding environment. Even their actual impact on carbon reduction can be called into question. Many believe that strong action is urgently needed to reduce the carbon dioxide being produced by industry, instead of looking for “solutions” that absolve them of responsibility. Now the Genetic Engineering industry is hoping to turn this crisis into an opportunity for profit, by promoting GE trees as the next solution to climate change. By making claims for fast growth and increased carbon absorption by GE trees, the industry is evidently trying to push for acceptance through a different route. Furthermore, activists and policy makers working on climate change issues may be less aware of the threats presented by GE trees and GE technology in general, and may also be unaware that the UN Convention on Biological Diversity meeting in April 2006 urged countries to take a very cautious approach to GE trees. GE tree plantations will only serve to exacerbate the problems and bad practices of the worst industrial tree plantations, whilst presenting an appalling risk of contamination and cross-pollination to global forest ecosystems. After spending the last three and a half months back in Brazil, reaching our 5,200 tree mark for reforestation, I have very little to say. I am silently processing what I discovered: GMO corn and eucalyptus trees are rapidly replacing the most diverse rainforest on the planet. This article contains a link to the documentary “Silent Forest” and describes what I have now observed within a few miles of our planting areas. “Genetically enhanced” eucalyptus trees are covering once forested hillsides and mountains. They will be turned to pulp and shipped abroad, primarily for paper products: diapers, tissues, books and pharmaceuticals. Some of it may even land in your “organic” food and supplements as powdered cellulose. And the trees will release pollens that we can only pray, Nature will refuse to mingle with the native species. Corn. We discovered the GM corn in rural fields near one of the nurseries. They are silent places, unlike the native forests. No birds, no insects, no bees, no butterflies. The small Brazilian NGO I work with said school children had described these dead forests and fields to them, while no one knew why it was so. Poor rural families simply accepted money offered to them to plant the trees on their barren hillsides, or for the promise of higher prices paid for their crops of the new corn in the cities. When I asked people in both countryside and city, what they knew about GMOs, known there as Transgenics, few had any knowledge at all. No one seemed aware that the Lo-Cal sweetener they were using instead of natural sugar, the corn they ate in a multitude of forms, the greens, and even the rice that filled our plates, were loaded. They were unaware that Monsanto had bought up the vast majority of commercial seed company’s and funded the international NGO that funds the majority of environmental education. Monsanto executives described a world with 100 percent of all commercial seeds genetically modified and patented. Anderson Consulting then worked backwards from that goal, and developed the strategy and tactics to achieve it. They presented Monsanto with the steps and procedures needed to obtain a place of industry dominance in a world in which natural seeds were virtually extinct. Reading a rural magazine, I discovered that in Brazil’s Cerrado, a new method of reforestation had been devised through Monsanto’s partnership with Conservation International. 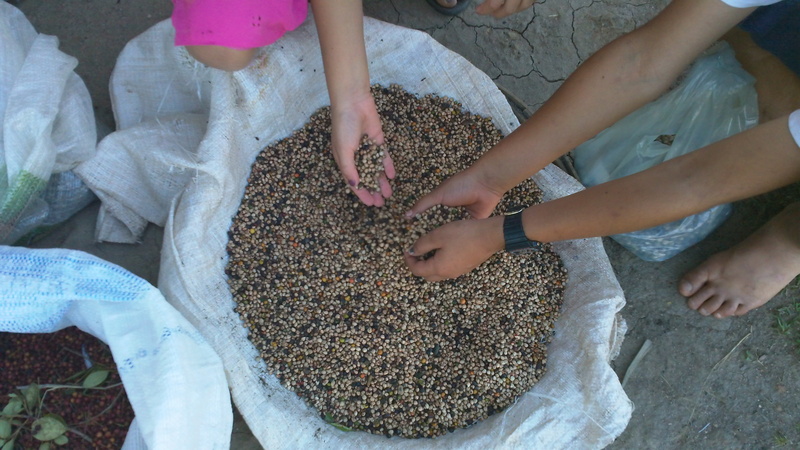 There they pay local people handsomely, to collect native tree seeds that are then mixed with GM crop seeds, and spread using farm equipment to do cheap, mass reforestation. I can’t find words to describe these feelings yet. I feel as silent as the forest. And from that silence, I trust some form of guidance will emerge. If you’d like to help us hold our organic ground, and seek out the larger organizational support we need, please make a non-tax-deductible contribution to support our advocacy. Trees of Transformation is the first in a series of wake up storybooks about the people who are taking a stand for Nature in the midst of corporate giants. One of those people is Alana Lea, who became a voice for the Atlantic Forest in Brazil where she was born –– now 93% gone. Discover what she learned as a social entrepreneur, on a mission of organic reforestation, facing international non-profit greenwash. You’ll meet the people who inspire her, and deepen her determination to find solutions, as well as what gives her hope. This is the story of a Mother turned environmental advocate, inviting you to discover, innovate, partner and find solutions with her, creating the future we all want for our children.